8 8 8 . 4 7 3 . 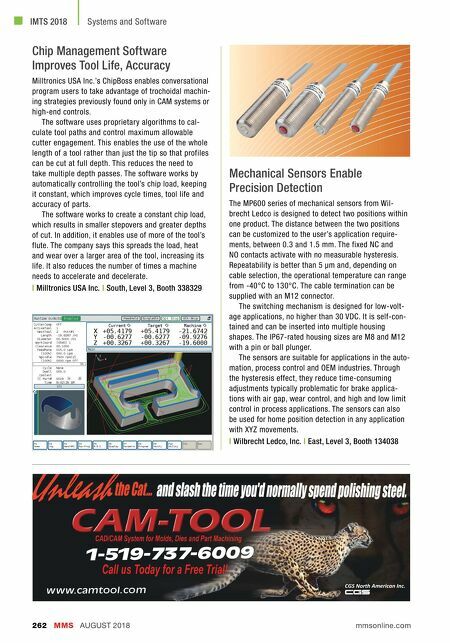 9 6 7 5 / / W W W. G T I P R E D I C T I V E . C O M INTRODUCING THE FIRST INTERNET-MONITORED SPINDLE A leader in spindle failure detection and repair, GTI offers: • Wireless Sensors for Spindles • Crash Control Sensors • Tool Wear Detection • Bearing Wear Detection • Remote Monitoring • IoT – Online Spindle Monitoring • AI – Fault Detection • Balance Correction S E E YO U R M A C H I N E S M O R E C L E A R LY. 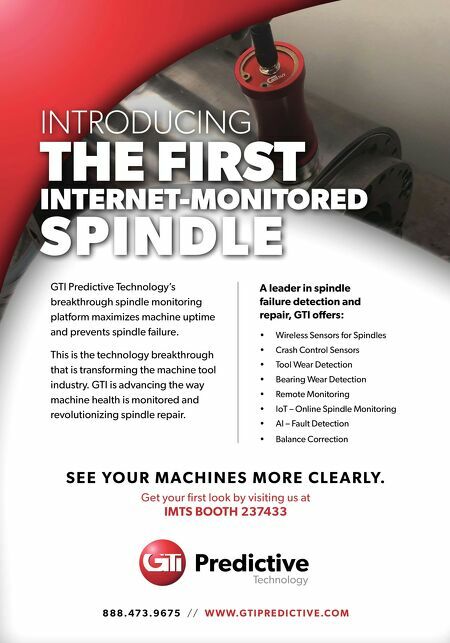 Get your first look by visiting us at IMTS BOOTH 237433 GTI Predictive Technology's breakthrough spindle monitoring platform maximizes machine uptime and prevents spindle failure. This is the technology breakthrough that is transforming the machine tool industry. GTI is advancing the way machine health is monitored and revolutionizing spindle repair.